You now have immediate access to "Hidden Right Under Your Nose!" 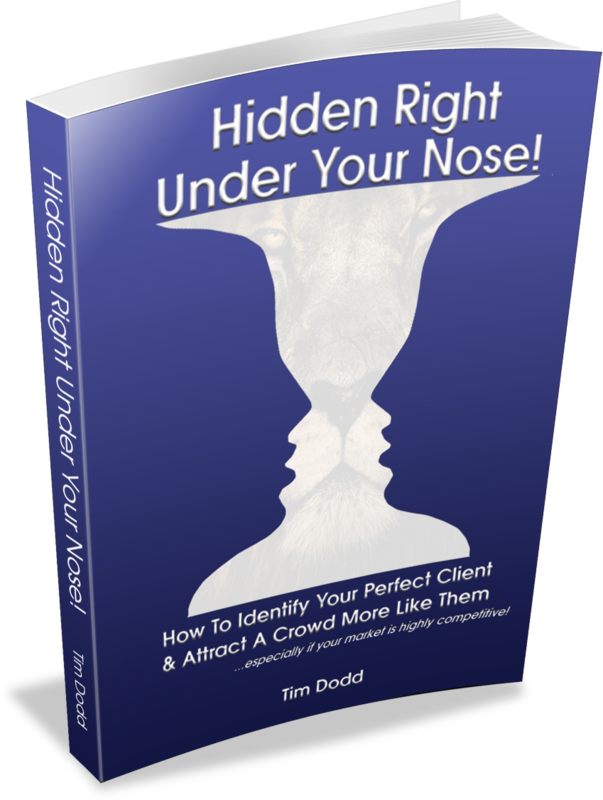 Although it's only short, this little book gives you a number of tools and strategies that will help you to identify & meet your absolutely perfect client and discover where you can find a crowd of people who all meet your ideal clients' criteria. If you want to find & meet these people before a competitor of yours does, download the book straight away and start working you way through all of the brain-storming exercises inside.